At Platinum Accident Repair Centre, we understand how distressing a motor vehicle accident can be. We work with our insurance partners such as IAG, AA, Tower (and many more), to complete quality repairs in a timely manner. I have had an accident, what should I do? 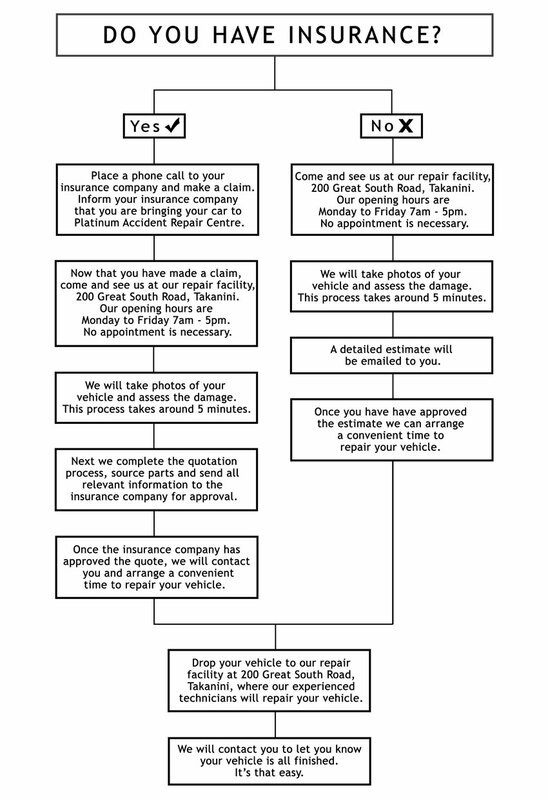 Here’s our handy guide to give you a quick outline of the repair process.